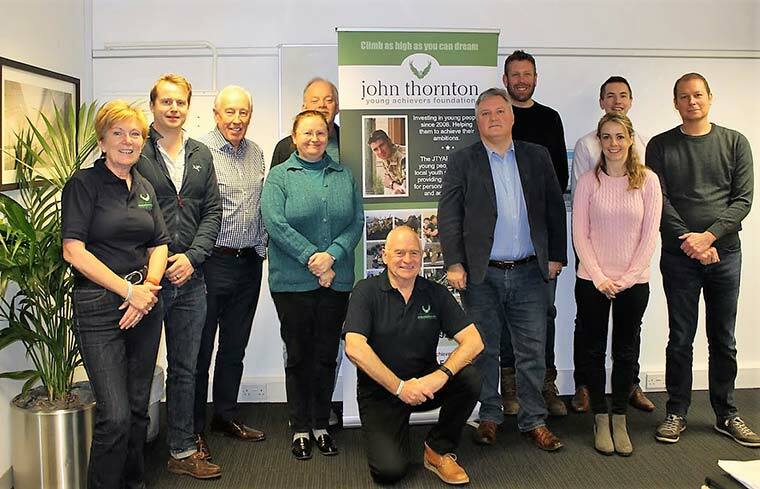 At their meeting on Saturday the Trustees of the John Thornton Young Achievers Foundation allocated a staggering £93,500 for awards in 2018. This money raised will be used to provide bursaries and scholarships to local young people providing them with opportunities to discover their potential and develop their talents as they work towards achieving their ambitions. Young people from seven local schools will benefit together with Girl Guides, Scouts, Air Cadets, Sea Cadets, Royal Marine Cadets, members of the Coda Fiddle Orchestra, the Dorset Music Service and bursaries will also be provided to young people from Dorset who need financial support to take part in sailing adventures with the Tall Ships Youth Trust. The charity was set up in memory of Lt John Thornton RM who was tragically killed in Afghanistan in 2008. As the 10th year anniversary approaches there is no better time to reflect on John’s legacy and all that has been achieved in his name. A total of £526,000 has been awarded to almost 1,400 young individuals together with numerous group projects. It isn’t, however, the total amount of money awarded or the number or individuals and groups who have benefited, but the difference these awards have made to young people’s lives, which is the cause for celebration by the Foundation.